The Boxster has been subtly redesigned by Porsche. The Boxster now sports an exterior design true to traditional Porsche form. The Boxster has been totally restyled to lessen its resemblance to the Porsche 911 and to bring it back to a more traditional form. The Boxster delivers excellent handling and a choice of impressive engines. The Boxster’s interior is impressive but the most impressive enhancements are not so easily seen. The Boxster’s engines are more powerful than before and its suspension has been revised along with improvements in handling and the inclusion of electronic aids. The Boxster has enjoyed a great deal of popularity since its introduction the added enhancements will increase the Boxster’s desirability. The Boxster is more costly to purchase than most of its competitors but it also offers a lot of value for the money. The Boxster is fast and boasts a good build quality. Resale values should be high and maintenance is likely to be routine. The Boxster is not a spacious vehicle. Available cabin space is surprisingly much more limited than exterior dimensions suggest. The Boxster does boast pretty impressive boot space however and a decent glovebox. The Boxster’s instrumentation and cabin design are based on the Cayenne. The Boxster’s main controls and dials are large and well designed. The roof is easy to retract with the pull of a lever and the push of a button. Passengers will not have any trouble getting comfortable inside of the Boxster’s cabin. The seats are supportive and the Boxster provides fully adjustable seats. Engine noise is better disguised with the top up but has an appealing sound with the top down as well. The Boxster provides good accessibility. The doors open wide providing a large aperture that facilitates accessibility. The Boxster’s doors are large and heavy and may present difficulties in a crowded parking lot. The Boxster is a fun car to drive with enhanced steering and plenty of grip. Enthusiastic drivers will appreciate the powerful engines that are available. Porsche’s 2.7-litre six cylinder engine is more than competent. The Boxster is a two-seater and is much too small for a family car. The Boxster was not designed to lug a family or their cargo around. It would make a really fun second car or even third car for a family. The Boxster would be a really fun first car for those who could afford it. It is unlikely that many first time buyers could afford the initial purchase price, insurance and fuel for the Boxster. Porsche has never had an image problem and the Boxster will only serve as a compliment to the firm’s already positive image. Some dispute the quality of materials used in the cabin (centre console), but for the most part the baby Porsche is very impressive. 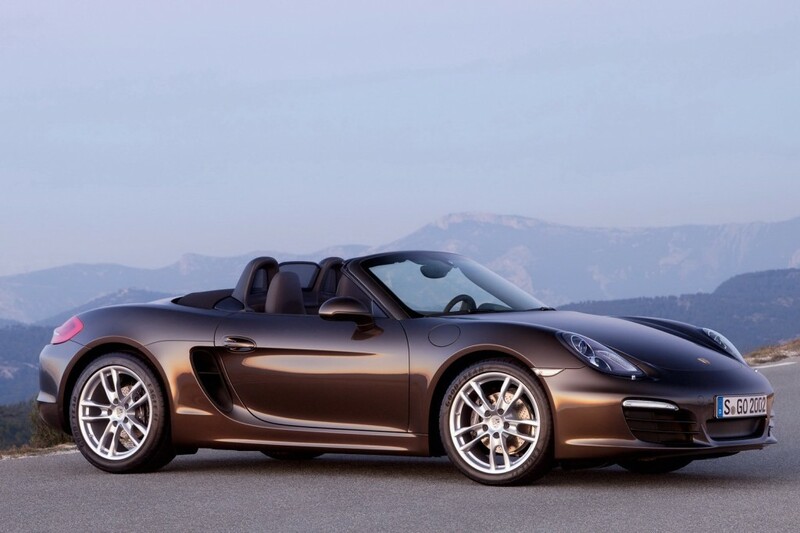 The Boxster is an attractive car with plenty of curb appeal. Porsche has taken this into account and has included remote central locking and an engine immobolizer as standard. Porsche has even included the option of a hard top for buyers who desire increased security. The Boxster comes equipped with an array of safety features including twin front airbags, side and head airbags. Other standard safety features include rollover safety features, and Porsche Stability Management. The Porsche Boxster’s standard audio unit includes a radio and CD player. The standard unit provides good sound quality but optional upgrades are available from the options list including a sat-nav system and a trip computer. The Boxster’s exterior looks the most attractive in silver. Dark metallic colours increase the Boxster’s charm and a mixture of cloth and leather successfully create a classy and sporty atmosphere in the cabin area. The Boxster’s traditional design will be appealing to many buyers, but its performance and build quality will impress even more buyers. The Boxster has been enhanced in all the right places and offers buyers a complete package.